Now that the Republicans have regained control of the House, chairmanships for many House committees previously headed by Democrats have fallen into Republican hands. How important are these chairmanships, and what progressive policies could be at risk as conservatives take charge of committees on energy, financial regulation, immigration and healthcare? 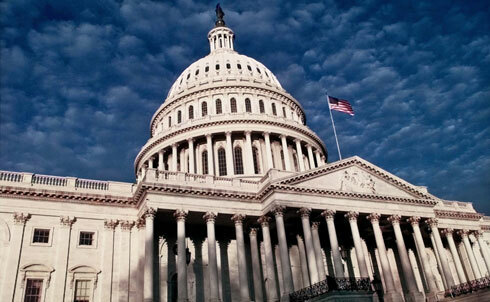 Here’s how the new committee heads could drive key issues facing America today. A number of committees have an impact on climate change and energy issues, but overall, Congress is expected to get cozier with business interests and more adversarial toward climate scientists. 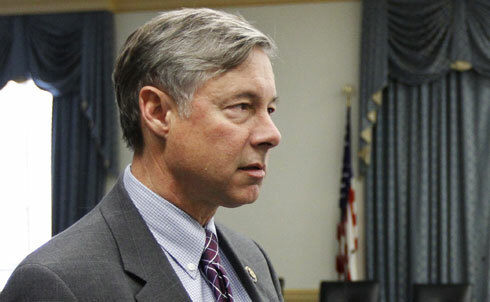 The House Energy and Commerce Committee will be headed up by Fred Upton (R) of Michigan, who once called climate change “a serious problem that necessitates serious solutions,” but only this past week co-authored an editorial in the Wall Street Journal arguing that EPA regulation of greenhouse gases is "an unconstitutional power grab that will kill millions of jobs." 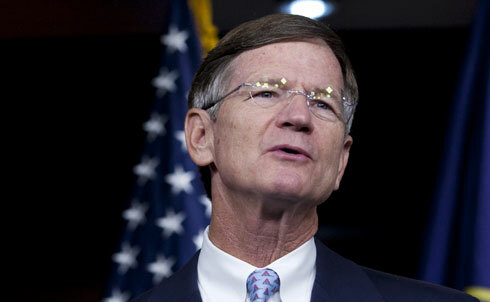 Upton’s flip-flop from environmental moderate to climate change denier makes the prospects for science-based climate legislation particularly grim in the 112th Congress. What’s more, visions of out-right climate witch trial scenarios have also been flying around. Mother Jones reported in November that Darrell Issa (R-CA), incoming head of the House Oversight and Government Reform Committee, wants to hold hearings on the “politicization of science” that could not only antagonize the scientific community but also lend legitimacy to climate change denial. GOP spokesmen told the Washington Post’s Greg Sergeant that these hearings probably won’t take place, but a New York Times op-ed still predicts that Issa will push to investigate whether climate change data is rigged, spurred on by the Climategate scandal, which has since proven to have been a fake. 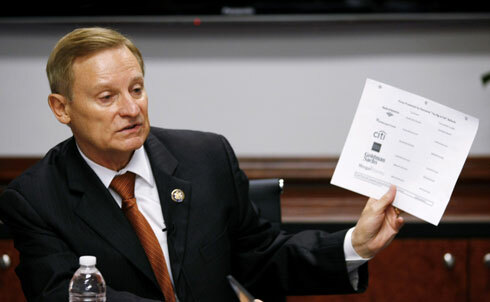 Spencer Bachus (R-AL), the incoming head of the financial services committee, wants to dismantle Wall Street reform and cut government spending under the stimulus package, as well as government payments to Fannie Mae and Freddie Mac. Business Week also reports that Bachus wants to investigate the ways that AIG’s bailout may have helped business interests abroad more than anyone in the US. But if anyone’s hoping for a fresh face to sweep in and get tough on Wall Street, Bachus isn’t the ticket. According to Mother Jones, cast an eye into his finances and you’ll see he’s been in bed with Big Finance for some time now. We can also expect hearings about financial regulation and Obama’s past stimulus programs from Darrell Issa and his subcommittee chairs. But, as the Washington Post points out, even if there’s a Republican push to roll back existing financial reforms and consumer protections, Democrats can still oppose it, and Obama can use his veto power. The Nation‘s John Nichols was already blogging about Ryan’s ties to Wall Street in 2009, and how his votes on free trade deals have been devastating to the communities he’s served as a congressman—in short, how he just doesn’t have the well-being of the people he represents in mind. Fortunately, the New York Times has a feature that allows you to plot out how you would reduce the deficit—and cutting Medicare is just one option. With John Kline (R-MI) heading the Labor and Education committee, progressives could suffer a double blow to both workers’ rights and to education reform. Kline got a score of 0 for his performance on labor issues from the AFL-CIO, and the SEIU isn’t exactly thrilled with him either. 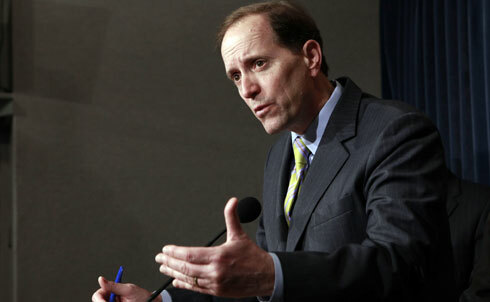 Kline opposes the Employee Free Choice Act, legislation that would make it easier for unions to form. 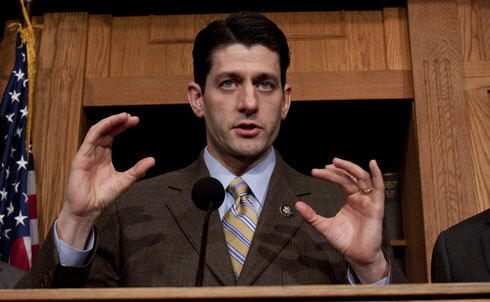 His vision of job creation goes hand in hand with the idea of less government interference and less government spending. Apparently he doesn’t buy the Obama administration’s claim that the stimulus program created or saved around 3 million jobs. 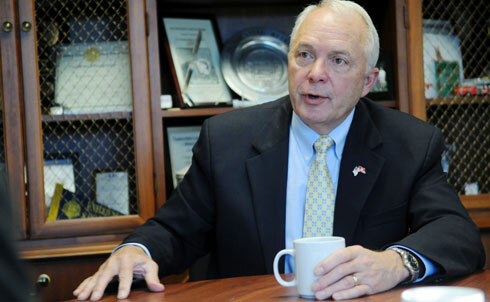 Kline also wants to scale back the role of the federal government in education. While he wants full funding for school programs for kids with disabilities, his other education positions aren’t as promising: he opposes the creation of a national curriculum, though progressive voices on education reform—including Nation contributor Dana Goldstein—argue this would represent a huge win in fixing the public education system. He’s a big fan of charter schools, and has backed a controversial push for religious school vouchers. And according to ontheissues.org, Kline has a track record of voting against extra funding for public schools. But with Congress largely divided on just what to do about education reform, we can probably expect gridlock on education issues for the next little while. With Lamar Smith (R-TX) heading the House Judiciary Committee, and Steve King (R-IA) chairing the immigration subcommittee, we’ll be seeing a much more enforcement-centric approach to immigration reform than in the past two years of Obama’s presidency. Smith and King’s priorities are to beef up fencing and security at the border, and to investigate whether ICE hasn’t been thorough enough in its duties—this following a year of record deportations. They both support limiting the 14th amendment to children with at least one parent who’s a citizen, and support ICE programs that delegate some immigration enforcement duties to local police, like the Secure Communities and 287(g) programs (the latter of which set legal precedents for Arizona’s notorious SB 1070 immigration law). Smith and King don’t want to create more legal pathways to immigrate to the US, even though the acute shortage of work visas available for entering the US (according to the Brookings Institute, only 15 percent of visas are awarded each year for employment purposes—as opposed to much more common family unification visas) is one of the factors driving illegal immigration. King has also garnered media attention for saying liberals should be deported—stating that racial profiling is a normal part of policing—and comparing containing migrants at the border to herding cattle. You don’t have to be left of center to find all this alarming—a Hispanic Republican group is also condemning Smith and King’s potential appointments. It’s time to brace yourself for a rightward shift in foreign policy as the hawkish Ileana Ros-Lehtinen (R-FL) takes over the Committee on Foreign Affairs. 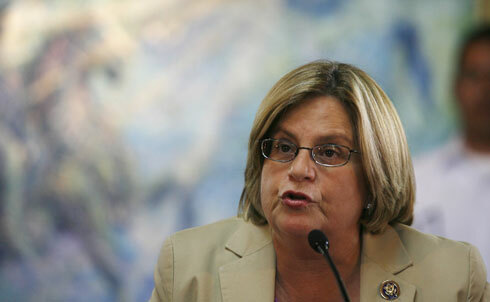 According to the Washington Post, Ros-Lehtinen will bring a strong pro-Israel stance to the job, and will be a vocal advocate of US sanctions on Iran. She was a strong supporter of the Iraq war, and Foreign Policy’s Josh Rogin predicts a more adversarial relationship with the Obama administration overall when it comes to foreign policy.